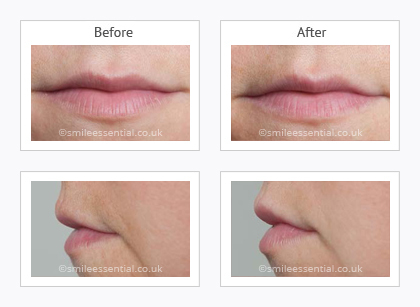 Do you want to enhance thin or poorly-defined lips? Does your smile need plumping? Dr Lina Kotecha can offer you gorgeous, luscious lips without looking false. 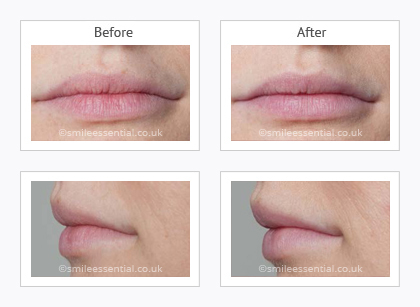 Lip Enhancement is a very popular treatment offered by Dr. Lina Kotecha. It is suitable for anyone who would like fuller lips. It is a safe procedure which can replace the volume and definition that ageing has taken away; it can also be used to create balance or harmony between the upper and lower lip. Our lips are an important part of facial beauty. For many people, fuller, more sensuous lips come high on their wish list and these can be created using products that are naturally found in the body. 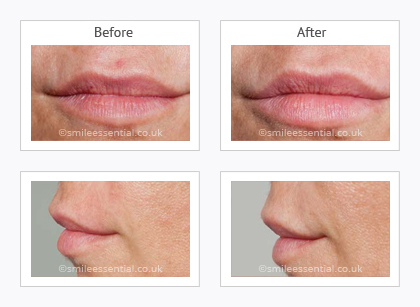 Simple and safe dermal fillers such as Restylane, Emervel and Juvederm injections treatment can enhance the lips in many ways including adding volume and definition, balance our asymmetric lips, reduce the appearance of those fine, vertical lines and enhance small thin lips. Prior to the treatment, you will be carefully examined by Dr. Lina Kotecha. You will have a face to face a discussion of your preference and you will be advised of the best specific solutions for you. Methods of anaesthesia such as ice pack, cream containing a topical anaesthetic and dental nerve block will be discussed. We understand the lips can be a sensitive area. A range of anaesthetics, such as ice packs, numbing creams and dental nerve block can be provided depending upon your preference. In addition, the Restylane, Emervel & Juvedermproducts contain an anaesthetic agent, therefore the treatment is relatively comfortable.